One of the most common challenges that many young adults face when heading to college is attempting to fund their education. 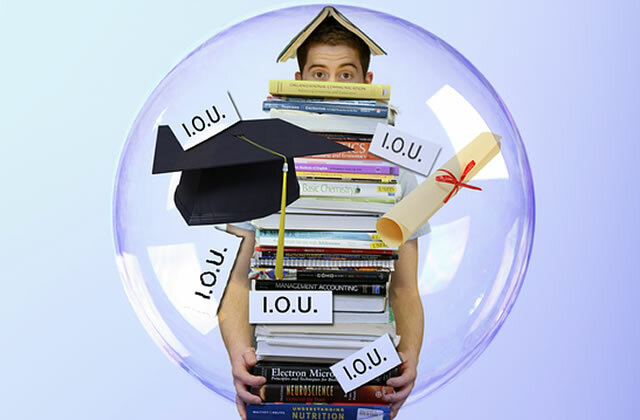 Most people take out student loans, which can accumulate and are difficult to pay in full over time. If you want to complete college debt-free, there are a few ways to cash flow the education. Scholarships can pay for a significant amount of your college tuition and can cover both books and classes. Although it can take time applying for each scholarship, you can earn thousands of dollars each year for each submission that is approved. Becoming a nanny is an ideal way to make extra cash for school and obtain the funds that you need. It can also allow you to have extra time to complete schoolwork when the kids are napping or after they go to bed. Taking a sales job can allow you to have flexibility with your schedule and earn an income that funds each course that you take. Work in a sales position that you’re passionate in, whether you enjoy selling cars, clothing, or solar panels. You can sell for a company, buy and resell stuff you find on craigslist, or you can sell as an independent distributor for an MLM brand like Cutco or doTERRA. Coupled with financial aid that you obtain, it’s possible to pay for all of your expenses that are related to your education without taking out a loan. Make use of your skills and knowledge on various subjects by tutoring other students on campus. Advertise your services online and on bulletin boards to attract the right people that you can assist with their homework or with studying. Tutoring students can increase your cash flow and can easily work around your busy schedule. Online tutoring is also available where you can assist other students or even teach English to children and adults in different countries around the world. According to hopeandcents.com, living at home can make it easier to afford college by skipping the extra cost of room and board. Although you might not have the experience of living in a dorm with a roommate, you can enjoy having more privacy and being debt-free once you graduate and begin looking for a job. Affording college may be difficult, but there are ways to pay for your degree without taking out a loan. With the right steps taken, you can start your career off on the right foot and in good financial standing.